Are you wanting a delicious summer treat that won’t pack on the pounds? 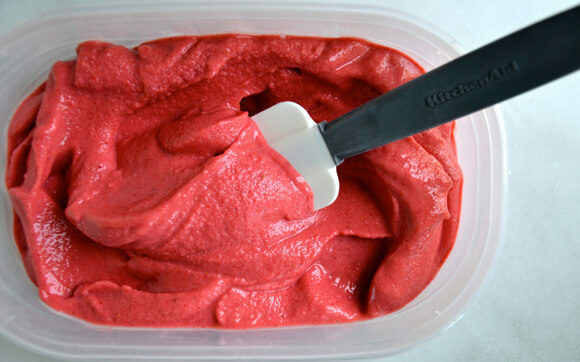 I have absolutely enjoyed the simplicity of making my own frozen yogurt from home using a blender and just three ingredients. The best part of all? You can use any fruit you want! It does not have to be strawberries. In a blender, combine yogurt, strawberries, and honey. 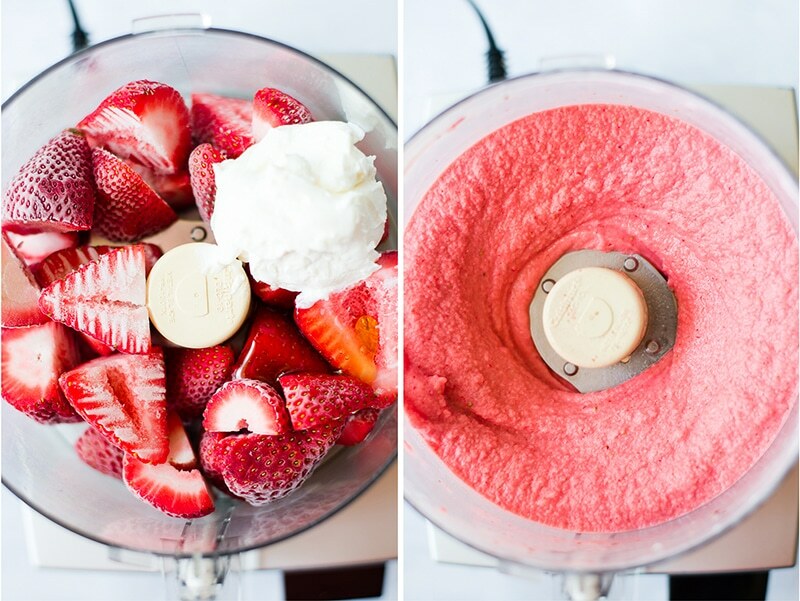 Blend for 3 minutes or until completely smooth and there are no chunks of strawberry left.